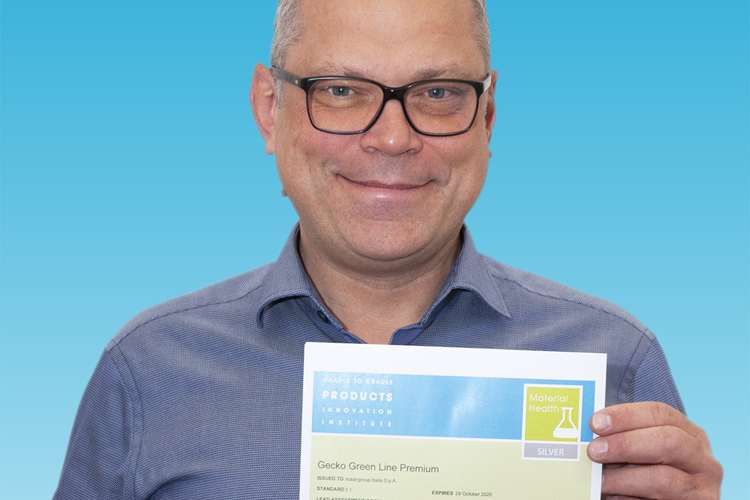 Once more, first global ink manufacturer hubergroup receives Cradle to Cradle Products Innovation Institute’s Silver Level Material Health Certificate for Gecko gravure printing inks. Product safety in compliance with conventions like the EuPIA exclusion list, Swiss Ordinance, and Nestlé guidance, is now the industry standard for packaging ink manufacturers. hubergroup takes it a step further: Through supply chain integration, the company adds transparency and in-depth knowledge of all kinds of raw material; and it also designed its production process to achieve a specific result, namely to ensure the highest level of product safety in printing inks. In addition, hubergroup cares about the environmental footprint of the printing ink it manufactures. There are specialized organizations that provide certifications for reducing or eliminating negative impacts on the environment. EPEA, the Cradle of the Cradle to Cradle (C2C) is one of them, providing a perfect tool for hubergroup to monitor and understand the impact of its products on the environment with a holistic approach. The assessment process itself gives clear indications of where and how to minimize their influence on the environment, and helps hubergroup to become more sustainable day by day. In mid-2017, hubergroup was the first printing ink manufacturer to receive a Cradle to Cradle certification for its products for sheetfed printing. Today, the company offers a variety of Cradle to Cradle certified offset inks for food packaging and commercial printing. The product range is compliant with food safety regulations for food-safe packaging, both for direct and indirect contact. And it also includes water based overprint varnishes. Recently, hubergroup’s Gecko ink series received the Cradle to Cradle Silver Material Health Certificate for the Gecko Green Line Premium series. Gecko Green Line Premium is designed for flexo and gravure printing of flexible packaging applications.